The 3202 Digital Intercom Station is a full duplex capable digital intercom with intelligent voice switching. Featuring an attractive brass finish, its robust housing is ideal for harsh environments. 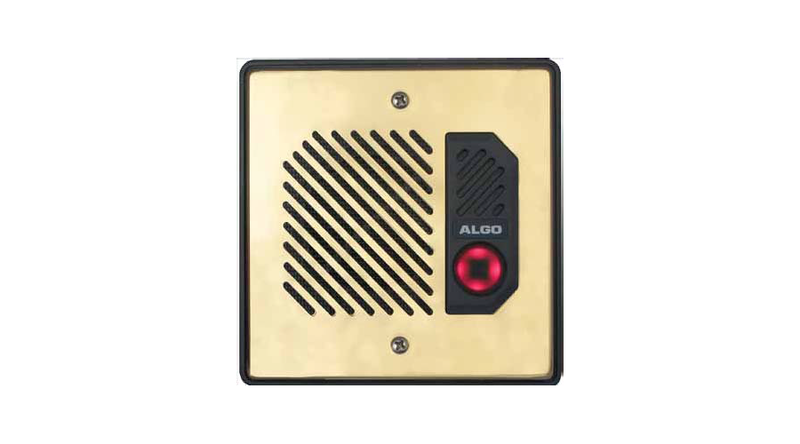 The 3202 includes a backlit push button and a switch input port with configurable operation. The station can be surface-mounted or flush-mounted using a standard recessed double gang electrical box or wall opening.